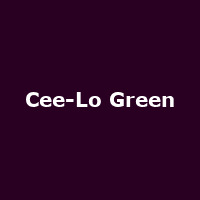 After carving out a reasonably successful career with Goodie Mob and Gnarls Barkley during the past 15 years or so, you'd be forgiven for thinking Cee Lo Green's career was washed-up after falling short with his first two solo albums ("Cee Lo Green and his Perfect Imperfections" and "CLG is the Soul Machine"). Maybe the titles put people off - mind you, his 2010 relaunch in the shape of "The Lady Killer" seems to have done the trick, especially since the release of the insanely catchy/ irritating (*delete where applicable) "Forget You" (or "F*** You" if you want to be 'down' with today's teenage pop-fans). After spending a fortnight at number 1 (a lifetime in this day and age), Cee-Lo Green's star is shining very, very brightly which has prompted a long-awaited set of UK tour dates to be announced for next year. He is set to perform in Bristol (7th March), Birmingham (12th), Glasgow (15th), Manchester (16th) and finally Shepherd's Bush on 17th March. Tickets will go on sale from Monday at 9am, so put that Christmas shopping on hold (it'll be snowing anyway) and get clicking! The follow-up to "F*** You" is the equally-catchy "It's OK", issued on 27th December - watch out for our review over the Christmas holiday.